This is a direct from VHS dub of of the cable TV broadcast. It looks to be from a first-gen recording so it is extremely clean and sounds great. The performance is slick and has a professional pace to it. 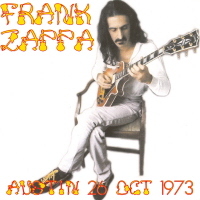 In many ways, I would compare this Zappa performance to a Jeff Beck concert with narration! 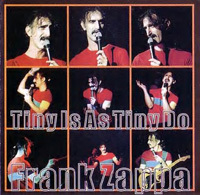 The show is chaulk-full of tongue in cheek lyrical content, delivered in the wry and direct manner we are accustomed to with Frank Zappa. Fun to watch after all of these years as this reviewer was not familiar with this broadcast. The big surprise is the presence of a young Steve Vai on lead guitar. This gives the performance an interesting twist. On the flipside, this production and presentation has that 80's feel to it already. This, and the cookie-cutter camera angles also make it a rather "straight-line" performance. 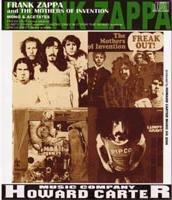 The bonus featurette included is a profile/tribute called, "The Crazy World Of Frank Zappa". Obviously produced for airing on network television in the U.S. after he passed away in 1993. A nice inclusion to the otherwise, no-frills disc. It's about 20 minutes long but a very high-generation tape was utilized so it suffers from a lack of clarity...but, is special none-the-less.